Atwood, Albert William. Francis G. Newlands, A Builder of the Nation. Washington: n.p., 1969. Carnell, Richard S. Francis G. Newlands and the National Incorporation of the Railroads. Nevada Historical Society Quarterly 19 (Spring 1976): 3-25. Darling, Arthur B., ed. The Public Papers of Francis G. Newlands. 2 vols. Boston: Houghton Mifflin Co., 1932. Lilley, William, III. The Early Career of Francis G. Newlands, 1848-1897. Ph.D. dissertation, Yale University, 1965. Rowley, William D. Farewell to the Rotten Borough: Francis G. Newlands in Nevada." Halcyon 17 (1995). ___. Francis G. Newlands and the Promises of American Life. Nevada Historical Society Quarterly 32 (Fall 1989): 169-80. ___. Francis G. Newlands: A Westerners Search for a Progressive and White America. Nevada Historical Society Quarterly 17 (Summer 1974): 69-79. ___. Reclaiming the Arid West: The Career of Francis G. Newlands. Bloomington: Indiana University Press, 1996. Progressive. Nevada Historical Society Quarterly 15 (Summer 1972): 25-34. U.S. Congress. 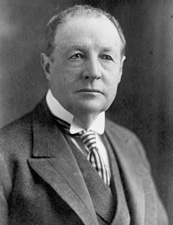 Francis Griffith Newlands (Late a Senator from Nevada). 65th Cong., 2d sess., 1917-1918. Washington: Government Printing Office, 1920. Webber, David J. Outstanding Environmentalists of Congress. Washington, D.C.: U.S. Capitol Historical Society, 2002.